When it comes to selecting a countertop, the options seem nearly endless, especially when the surface you choose can determine the overall design direction of your cooking space. After all, it is one of the three main design elements of any kitchen. From natural or man-made types to colors and patterns to finishes and edges, there are a lot of choices to make. While you might marvel over a friend’s countertop, you must remember they are not a one-style-fits-all decision. Yet, in addition to finding something that reflects your fashionable style, it’s so important to consider which countertop also makes sense for your specific lifestyle. Whether your kitchen functions as the hub for dinner parties, daily lunch prep, or occasional science projects, it handles a fair amount of wear and tear, and the kitchen countertops literally play host to it all. You might not consider the amount of abuse they will take over the years, but you should, since there are some surfaces that stand the test of time better than others. That’s why when you’re shopping for new kitchen countertops, you want to be sure your choice will breathe new life into your kitchen design, require the amount of maintenance you can handle, and last for many years to come. Let us guide you toward the countertop material you need by digging into the details of these top kitchen countertop picks! One of the most durable countertop materials is quartz. Often referred to as engineered countertops, quartz countertops are actually composed of 93-percent loose quartz crystals that are pigmented and then bound together with resin, which makes up the remaining 7 percent of the man-made countertop. 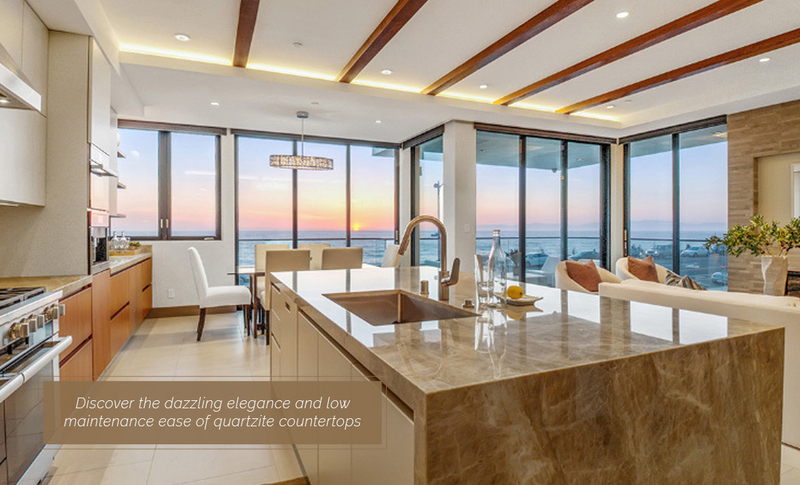 Mirroring the natural world without the risks of natural imperfections, quartz eliminates some of the maintenance requirements of natural stone countertops. The non-porous surface resists bacteria and dirt and is almost indestructible because it resists heat, scratches, and stains. Unlike natural stone, it never needs to be sealed or polished, and cleaning is a breeze with just a damp cloth or some mild soap on a soft sponge. While water can be problematic for some stones like marble, quartz is waterproof, so it is ideal for use with undermount kitchen sinks. One of the reasons quartz countertops have become so popular is because the engineering process has been all but perfected. While natural stone options are subject to the whims and formations of Mother Nature, with quartz, new manufacturing capabilities have created an option that so closely resembles natural stone that more and more people are opting for engineered versions of their preferred designs and colors. The added pigments allow for a much wider range of quartz countertop colors and patterns than what you’ll find with natural stone. When it comes to marble-look quartz, this is the closest option you will get to real marble but without the worries of staining and high maintenance. The undisputed Holy Grail in the countertop world, granite is the natural stone that remains one of the most highly regarded kitchen surfaces in the world. This earth-friendly material is elegant, beautiful, and durable, but, as with any natural stone, you need to consider your budget. Granite comes in various prices, with more exotic colors costing more and basic, simple colors being more affordable. Granite countertops are an excellent choice for busy households that heavily use their kitchens. The hard stone resists heat and scratches from daily wear and tear, and cleaning takes simple soap and water. When sealed properly, the non-porous stone becomes a sanitary option because it resists both bacteria and dirt, making this stunning surface perfect for prepping meals. For stain protection, it should be sealed at least once a year. Although granite is very strong, you should still be careful around edges and corners since it is easier for cracks to start from these stress points. On top of its practicality, granite countertops imbue a sense of luxury unique to the stone itself. 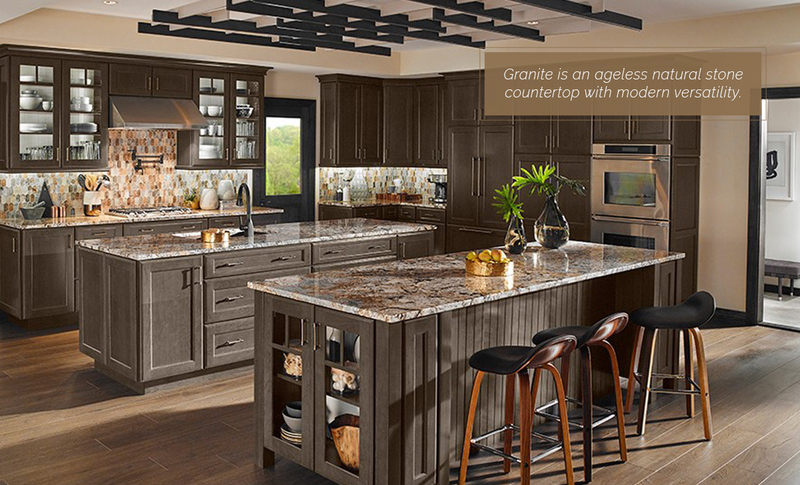 With thousands of granite colors, these countertops are both beautiful and functional options. The various minerals not only give the stone depth and character but also make every granite top different. This allows you to create a kitchen that’s truly unique, but you will need to select the exact slab you want. Over time, the one-of-a-kind counter will add to the value of your home, and few kitchen countertop surfaces can make the same claim. Another countertop option that is gaining in popularity is quartzite, which is commonly confused with quartz. Though similarly named, the two are completely different. Whereas quartz is a man-made material, quartzite is a natural stone. Birthed from sandstone placed under immense heat and pressure, the finished product dazzles observers with its beauty and durability. Quartzite countertops are another fabulous option for kitchens that see heavier use. Like granite, quartzite is incredibly strong and innately very heat resistant. Believe it or not, quartzite is actually harder than granite and reigns as the strongest of all popular surface stones. It’s also less porous than a lot of other natural options, including granite, and some slabs may even require little to no sealing. Kitchens with lots of windows aren’t a problem either for a quartzite countertop because it’s highly resistant to UV rays and won’t fade in color. When properly cared for, it will effortlessly stand against both time and heavy use. Because it’s also a natural stone, each slab of quartzite is completely unique. From whites to beiges to grays, quartzite offers more subtle neutral tones and features less flecks or spots than granite. Thanks to its incredible veining and stunning colors, it provides a similar, timeless appeal like marble but with a lot less maintenance. That’s important for those desiring an elegant look but need a surface that can handle the wear from a lot of use. 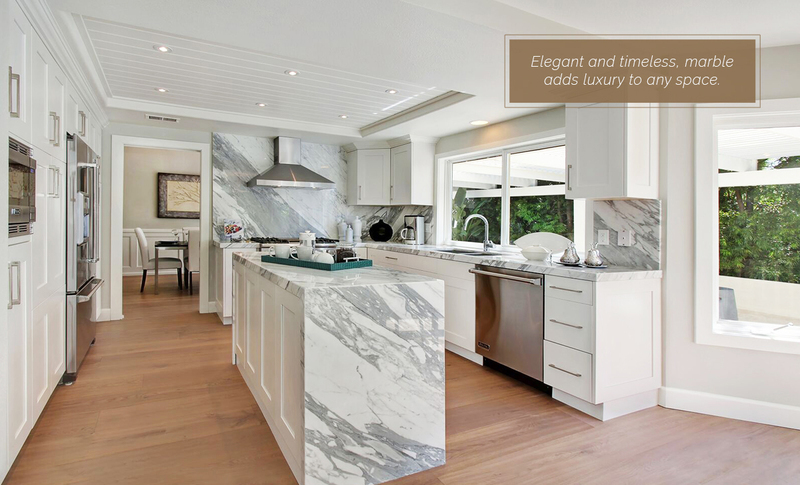 When you first lay eyes on a marble countertop, it can take your breath away. Marble is known for its timeless beauty and touted as a classic building material that adds luxury to any space. Because of its inherent value and desirability, marble countertops can add to your home’s worth, but remember that it’s also one of the most expensive choices. Unlike hardy quartzite and granite, marble is softer and more susceptible to damage, which is important to consider. It does require more care and sealing to help minimize stains, scratches, chips, and etching, but any nicks or scratches can be polished out. While by no means delicate, marble might not be the best kitchen countertop option for someone with the culinary aspirations and practices of a professional chef. That’s because water, other liquids, and anything acidic will stain or etch the surface if the spill is not cleaned up rather quickly. It is, however, favored by pastry chefs and home bakers because the natural stone surface stays cool, which makes it perfect for rolling out dough. As a result of its wear and tear, marble will show a lovely patina that many appreciate as part of its charm, so instead of trying to take every precaution to keep it pristine, embrace the changes it will show from being used and loved. 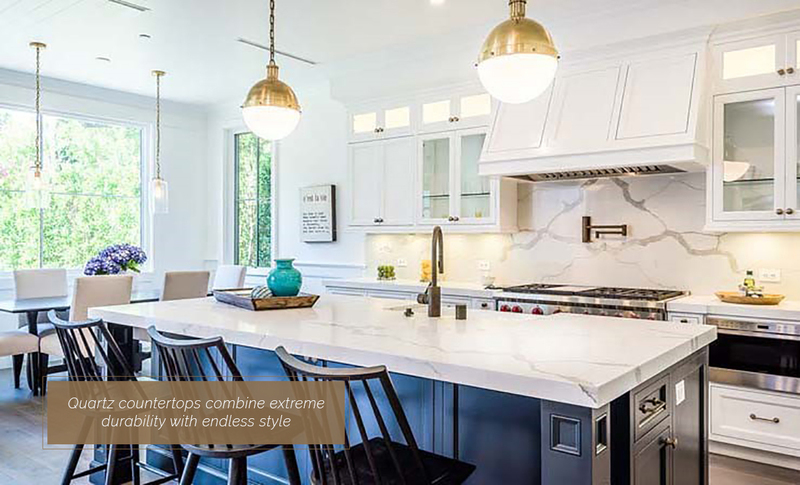 Natural marble is elegant and luxurious, and each piece of stone features unique marbling formed by mineral deposits and natural hues that are hard to mimic. Some of the more common types of marble range from grayish backgrounds to whiter looks with thick and dramatic veins to greater contrasts between light and dark. Even so, with consideration and care in mind, marble countertops are an excellent, stylish investment that will stand the test of time no matter the current trend. Many think of porcelain for flooring or shower installations, but this newer countertop option, that is rivaling popular quartz, is definitely one to consider. 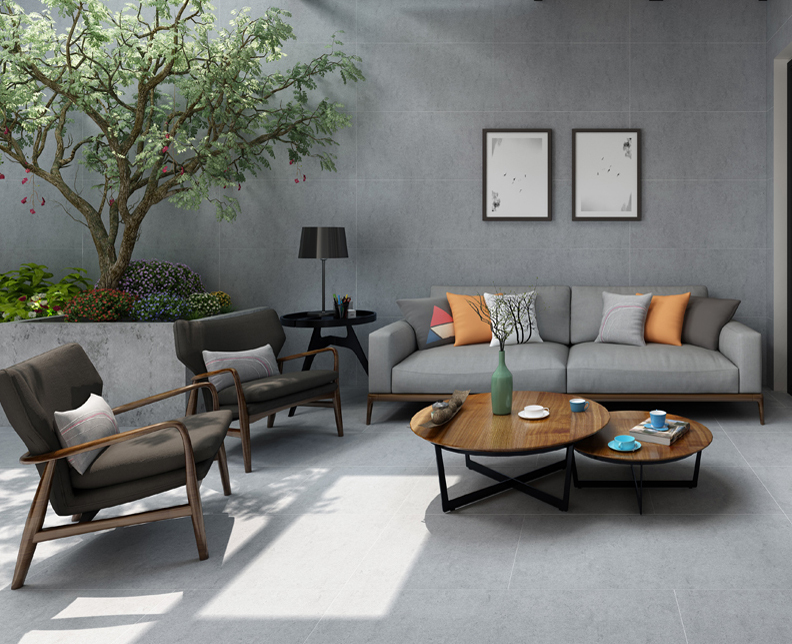 The thin porcelain slabs offer the elegant look of natural stone in a lightweight design but at a fraction of the cost. They can also be installed at a fraction of the time it would take to install other types of countertops, which can help any new build or remodel stay on schedule. 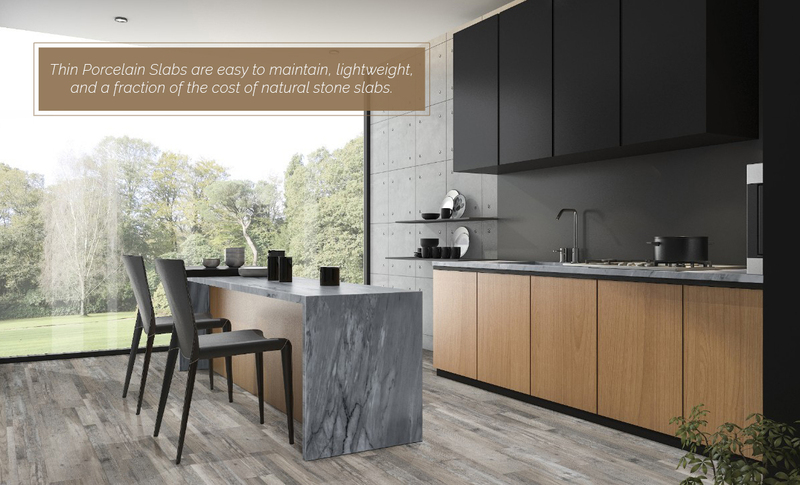 Porcelain slabs are significantly lighter than other natural stone countertops, weighing in at approximately 2.5 and 6 pounds per square foot. An out-of-date kitchen can quickly be transformed into a scrumptious cooking space with this lightweight material because thin porcelain can be installed right on top of an old, outdated counter. Porcelain slabs are engineered to be as tough as quartz and resist etching, stains, and heat. The super durable, smooth surfaces are very low maintenance and, since they are non-porous, they are impervious to bacteria and germs. They also require very few grout lines, making them a breeze to clean! But, be sure to do your homework on installation. Not all fabricators are familiar in working with this material because it is so new. These stunning surfaces come in a wide range of colors and organic textures that mimic the look of other natural stone countertops. Because of the stylish selection available, thin porcelain slabs complement various design styles and can also be added as a nearly seamless backsplash. The large-format panels create clean lines that perfectly fit with a modern aesthetic or give a contemporary twist to a more traditional space. Overall, it’s a cost-effective way to spruce up your kitchen in no time. If you wish for a low-maintenance option that looks like a million dollars but doesn’t cost it, then you should consider a soapstone countertop. It’s a quarried stone made of metamorphic rock, and because the presence of talc gives it a soft, soapy feel, that is how it got its name. 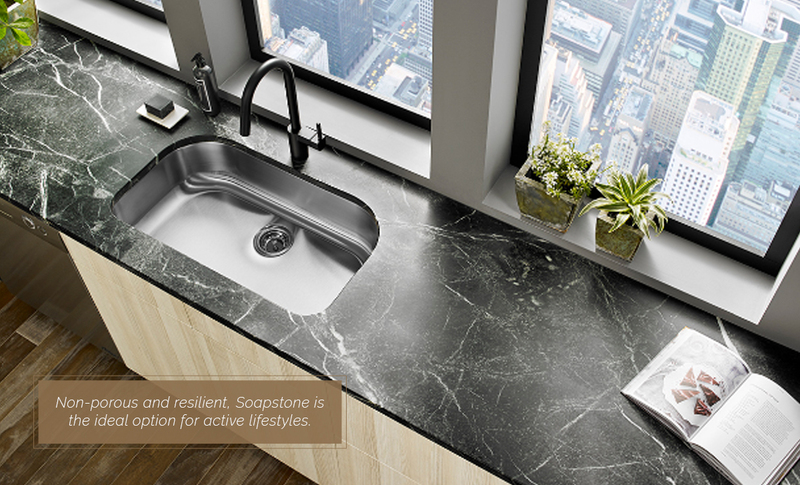 While other natural stones are porous and can absorb whatever is spilled on them, soapstone does not. That’s precisely why it’s commonly used in laboratories. Soapstone countertops are ideal for those kitchens that see a bit more mess than average. Families are also fond of the stone because it serves as a cooking space, science lab, craft area, homework area, and workshop all in one. Soapstone surfaces can be wiped up using a simple solution of soap and water and requires little upkeep beyond casual cleaning and the occasional spot check for scratches. The very non-porous surface does not require sealing, which may be surprising for a natural stone. Another plus is that it’s pliable or less brittle, so the countertop won’t crack unexpectedly from stress or weight. Unlike granite, soapstone slabs offer a limited palette of colors ranging from gray, blue-ish gray, green, and black, depending on the mineral content of that particular deposit. 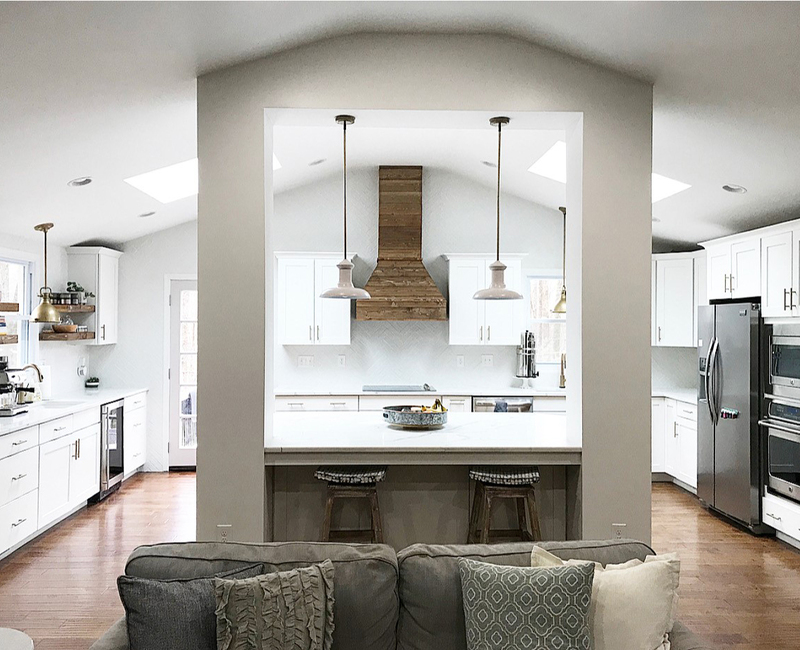 The countertop surface is favored in modern farmhouse kitchens, although they can be installed in spaces with any style, from traditional to modern to eclectic. One of the reasons it may better suit a country or farmhouse style is because it requires periodic oiling in order for it to look its best, as mineral oil can take care of any scratches. The wear and care causes a natural patina to occur over the years, and it’s this rustic, worn quality that many find alluring. Onyx is a gorgeous stone that is among the rarest countertop surfaces on the market. This exotic choice makes a gorgeous statement, and beauty and luxury are the reasons why some can’t resist using the calcium-based stone. 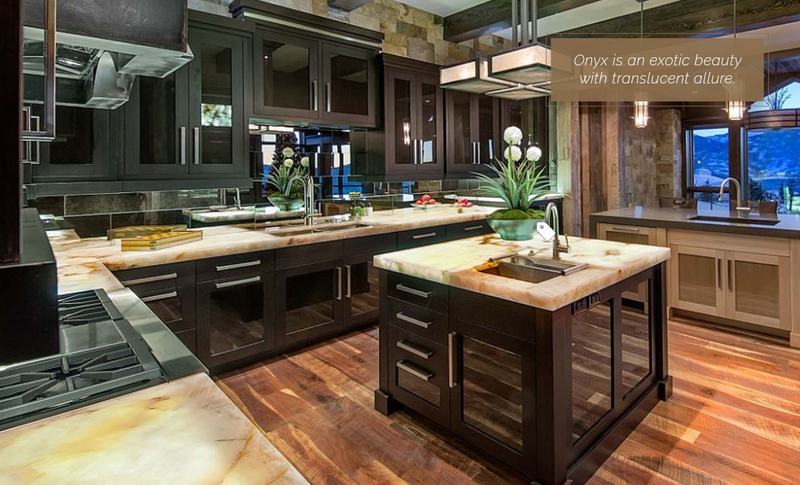 Because of its rarity and fragility, onyx is also the most expensive natural stone in the countertop realm. Unlike soapstone, natural onyx is not as ideal for heavy use. Its softer makeup means it is more susceptible to damage than others and requires constant care to keep it looking pristine and free from visible damage. Heat can easily damage an onyx surface, and, unfortunately, the entire piece would need to be replaced since there’s no way of fixing a burned countertop. It’s also fragile enough that you may need a fiberglass backing to reinforce it. So, if your kitchen sees a lot of traffic, your onyx countertop will require regular preventative maintenance and care to avoid scarring. While they may be very delicate, one of the advantages is that they are easy to clean with just a bit of warm, soapy water. The beautiful, luxurious stone looks every bit as expensive as it costs and will transform any kitchen into a work of art. It comes in various colors, and one of the biggest benefits of onyx is its translucent feature. The stunning stone can be backlit, so you can create a centerpiece of the room. If it doesn’t provide the functionality you need, then you can always use it as an accent, such as a bar countertop, alongside more conventional countertops that handle heavier use. Moving away from natural stone, butcher block countertops have been quickly rising in popularity, and for good reason. They provide a warm, timeless appeal and are a dream surface for culinary creativity since the softer surface is ideal for cutting and chopping. Maple is one of the more common woods used, but others might also include exotic options like teak. Of course, this range in wood varieties also means butcher block countertops vary in price. Still, butcher block countertops aren’t for everyone. If, for example, you want a lasting pristine surface, keep in mind that butcher block will naturally wear over time, changing the look of the countertop. It is more high maintenance since heat damages the surface and cuts and scrapes will show easily. Although with proper care, they can last a long time. The naturally porous wood needs to be treated regularly using a mineral oil or beeswax, whereas varnishing offers some stain resistance. In cases of burns and scratches, sanding the surface and then applying oil can easily repair it. Butcher block might be better suited for a kitchen island with no plumbing, since installation around a sink or over a dishwasher will result in humidity and cause the wood to fluctuate. 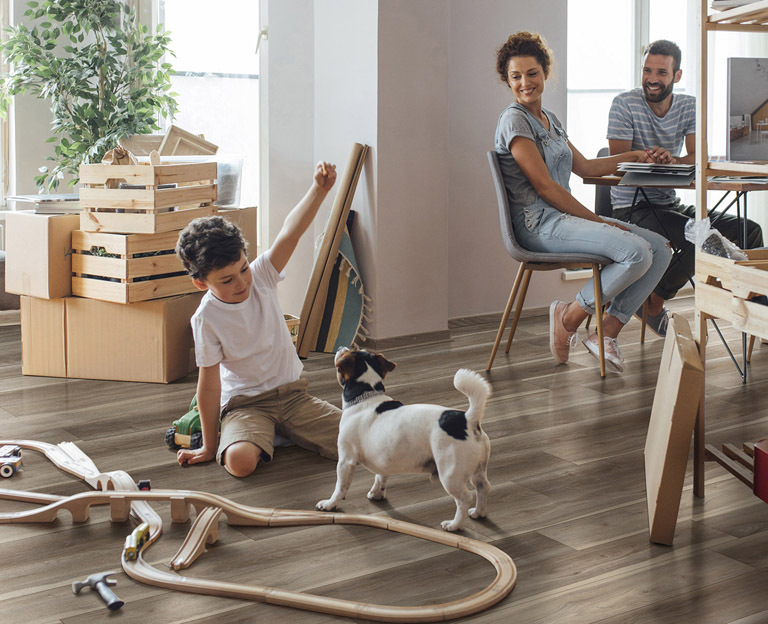 More homeowners are turning to natural elements like wood tones to help warm up a space and give it a homey feel. Some may want a surface free from imperfections, but others love this evolving look, which shows the character of the countertop and tells a story of a kitchen’s use. 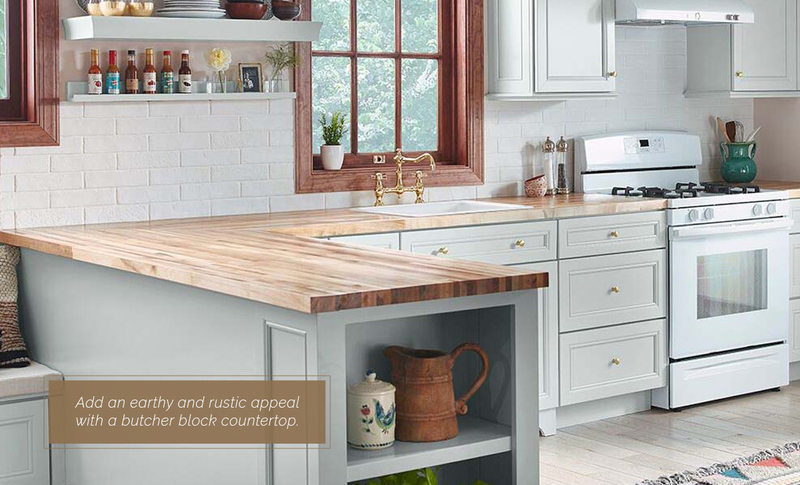 Butcher block is also an effortlessly customizable countertop option compared to stone slabs, which makes for easier installations, repairs, and spatial adaptations. Stainless steel is an unsung hero in both modern and contemporary kitchens, but it wasn’t always that way. Once upon a time, stainless steel countertops were considered too sterile and cold for home design. 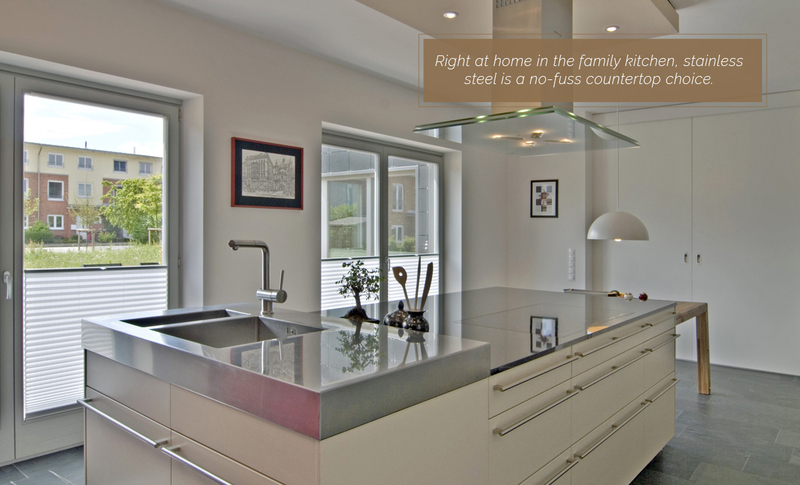 However, stainless steel is a versatile material that pairs well with nearly any décor. On top of its good looks, stainless steel is incredibly practical for high-use kitchens. As its name suggests, it won’t stain and is very durable like steel is known to be. The countertop also resists heat, which is great for busy cooking spaces. Plus, it isn’t porous, so moisture, microbes, and other grime won’t stand a chance on this surface. Just clean regularly with disinfectant and you’re good to go. Yet, it isn’t completely indestructible. Dents and scratches easily show on this surface, and so do fingerprints, which might not be the best choice for a house full of little ones. Be careful when cleaning, as some chemicals like drain cleaners and removers for hard water deposits can discolor the countertop. You can use white vinegar and olive oil or another stainless steel cleaner to keep it looking shiny and new. Similar to butcher block, stainless steel countertops are meant to evolve stylistically over time. They create a sleek look and can be matched with stainless steel appliances or incorporated into a design featuring a mixture of metals. Steel wears over the years, but for those whose kitchen design dreams tell a story of heavy use, stainless steel is an excellent choice. Many of today’s kitchens are on full display, especially with the increase in open-concept plans where they compliment stylish living spaces. Behind the subdued or dramatic design, the cooking space still needs to function as a robust workhorse because it receives a lot of wear and tear, and that includes the countertop, too. 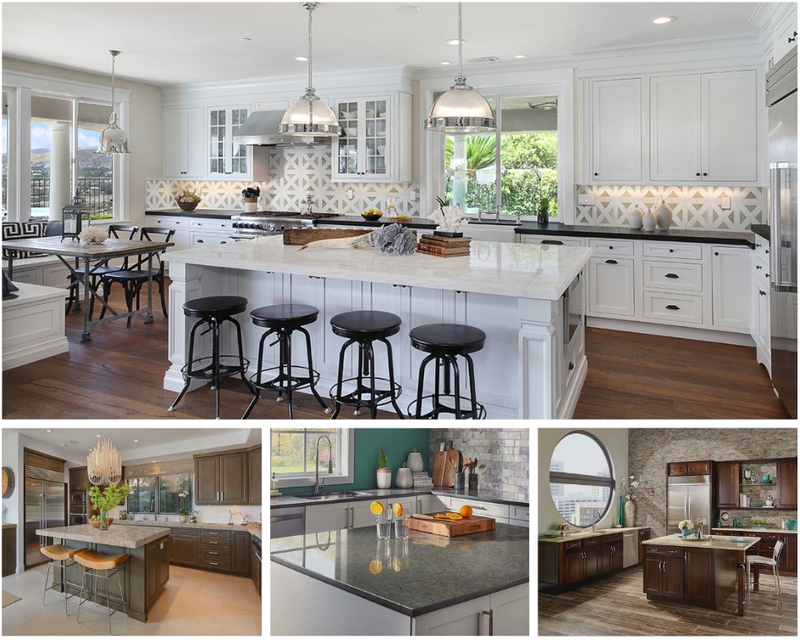 There are a vast variety of options on the market, but these kitchen countertops covered are a great place to start when deciding on your next remodel or new build. Not only are they durable and timeless, but they also have staying power. Their combination of function and fashion can elevate your kitchen and make it the talk of the neighborhood!